LIRA/KAMPALA – Lira district speaker George Opio Rashid and Ugandan singer Geoffrey Lutaaya are one of the s.4 leavers 2018. According to the just-released UCE results, Opio scored 66 aggregates while Lutaaya got 62, both in grade four. The excited speaker has revealed that he agrees with UNEB on his results and he jubilated having been able to attain certificate. The speaker went back and sat for the Senior 4 papers after murmurs were heard that he lacks academic qualifications and scored aggregate 66. The honorable speaker scored F9 in Chemistry, Physics, Biology, Maths, Geography, Commerce and CRE. He was able to attain P8 in English and Agriculture and the best performed subject being Lango which he scored C5. 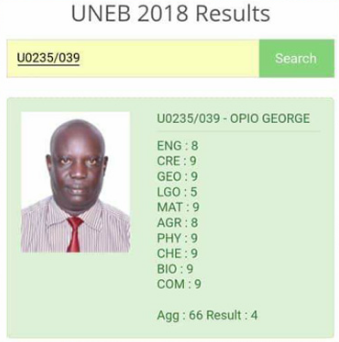 Lira district speaker George Opio Rashid’s UCE results. On the other hand, while speaking to one of the local TV station Friday morning, Lutaaya who secretly sat S.4 has claimed he had sat the same level in early 1990s and passed very well but decided to re-sit in order to prove his confidence. 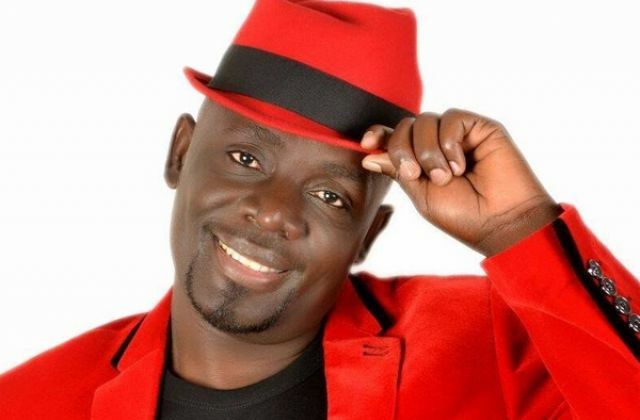 When asked on his performance, the singer said he passed well most of the subjects, Luganda inclusive. “I passed, I passed very well most of the subjects but mostly I passed Luganda language and English,” said ‘Oli miss’ singer. Lutaaya has said he is determined to study up to university and must attain a bachelor’s degree. In the just released results, he scored F9 in Geography, History and Commerce, Pass 8 in CRE and passed English and Luganda with credit 5, Biology 6. It should be noted that Lutaaya is looking forward to standing for parliamentary seat come 2021 general elections.